Birding the ‘patch’ has been relatively quiet this autumn but as always I have been out and about most days looking to see what if anything has turned up. On Friday 12 December I went birding again. As it was the weekend I took my girls with me and we went to the settling ponds, spray fields and the percolation pond. Towards the end of the visit we went to the percolation pond and walked along the track to see what was there. After looking at the ducks and egrets present we went to the reed bed at the end and watch a large group of Eurasian Coots and whilst looking I saw a Grey-headed (Purple) Swamphen standing in the reeds. It was fairly well hidden but we managed to move around and take a couple of photos of it. This was a new species for me on the ‘patch’ although one has been seen here before I arrived in Saudi Arabia. Whilst looking at this bird a Western Marsh Harrier flew over and made the bird fly into the centre of the reeds and as it did a second bird that had been hidden from view also flew and joined it. 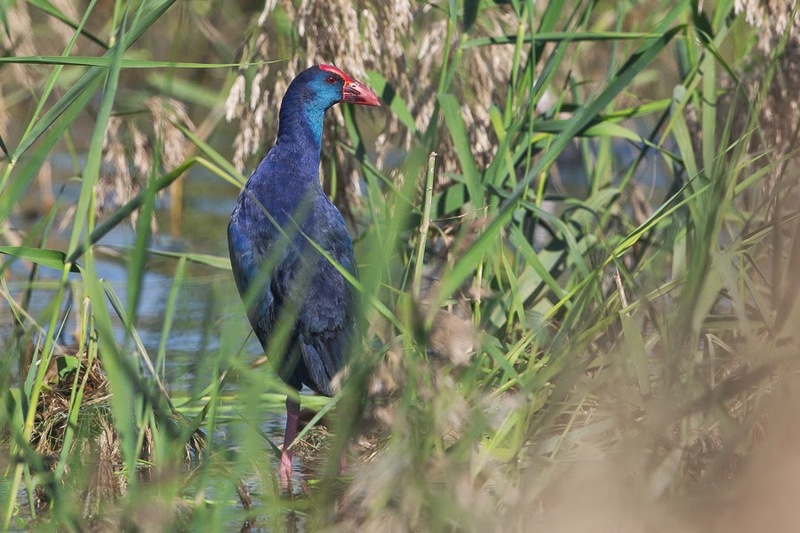 Purple Swamphen is not a rare bird in the Eastern Province and large numbers can be seen at its main breeding site of Sabkhat Al Fasl. Phil Roberts and I also found a second breeding site for the species at Khafrah Marsh a couple of years ago so it looks like the species may be extending its range as these are the only sites in the whole of Saudi Arabia. It would be nice to think this is a pair of birds and they will stay and start breeding. Later in the day Mats also saw one bird so, hopefully they will stay around for some time at least and better still breed here. Interestingly the second bird which Mats photographed appears to have a green mantle and shows characteristics of Afrcan Swamphen. 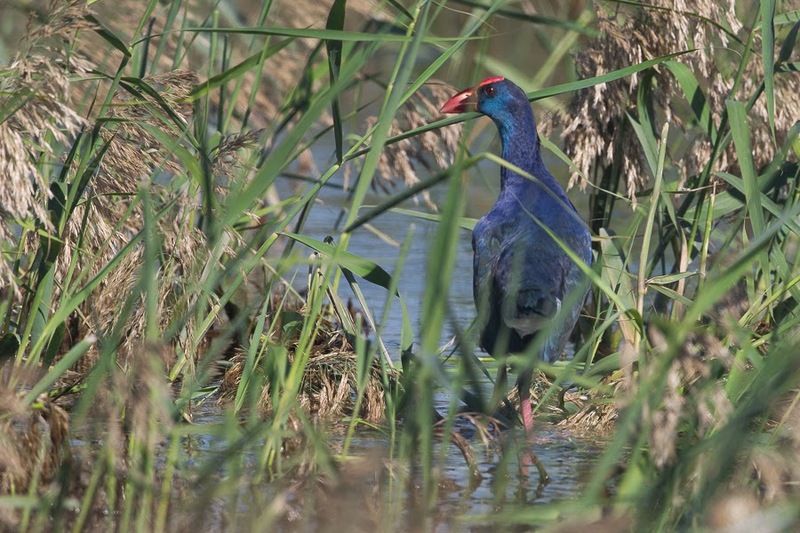 We will be out tomorrow for a better lok for this bird to see if we can confirm its identification as African Swamphen is often treated as a separate species from Purple Swamphen and would be a first for the Eastern Province and only second record for the country.